Half way to Don Det I stopped at a remote village with only a few houses to get a drink and there were 2 young men, maybe 20? 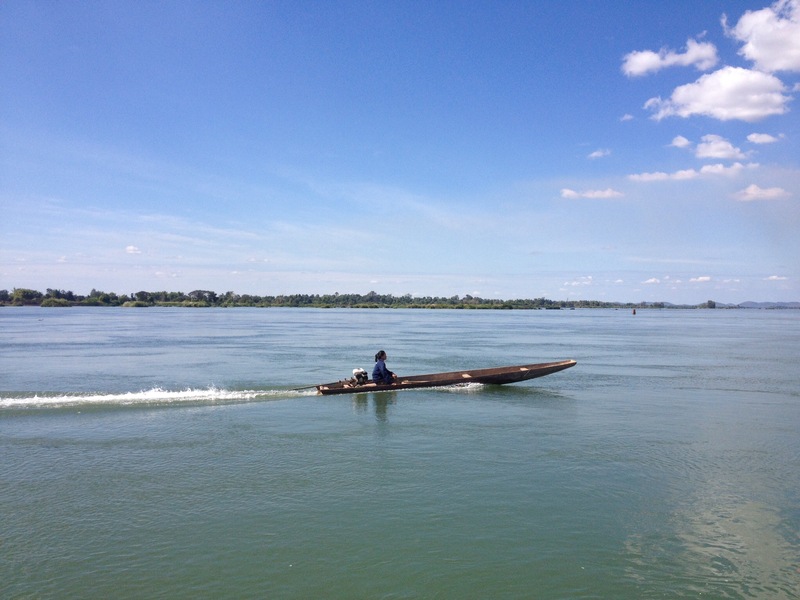 eating, they had a rifle each which has become more common the further south in ride in Laos. 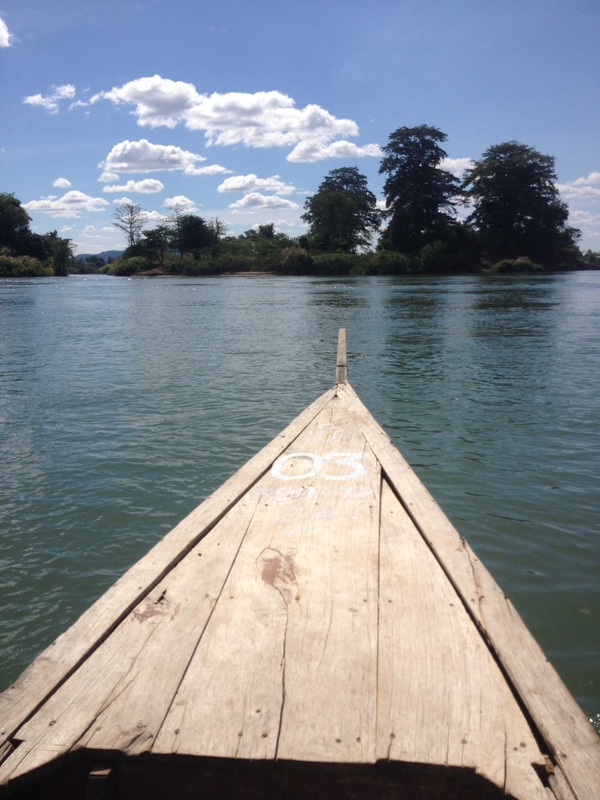 Today like previous day’s there’s no rush, I leave after a relaxing few hours drinking coffee and rode until early afternoon, at 1pm I arrived at the boat to cross the Mekong onto Don Det, one of the 4000 islands in the far southwest of Laos. When I say a boat, I would describe it as a makeshift raft, something as ‘country boy’ I would have constructed as a kid! 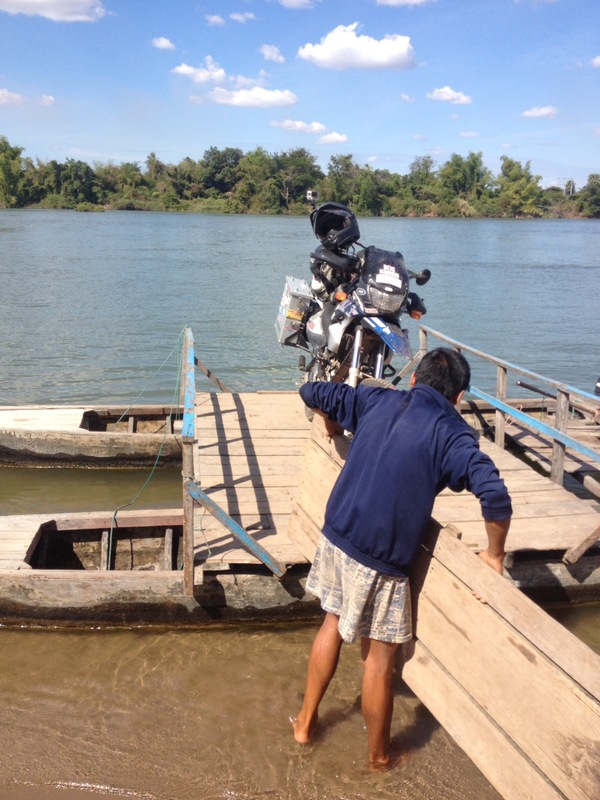 I rode my motorbike down a steep dusty bank to the edge of the Mekong up a plank of wood and perched my bike onboard. There was no room for a second bike. It took about 20 minutes to cross, luckily the weather was perfect so the crossing was mainly calm, only when crossing the centre was there some turbulence. 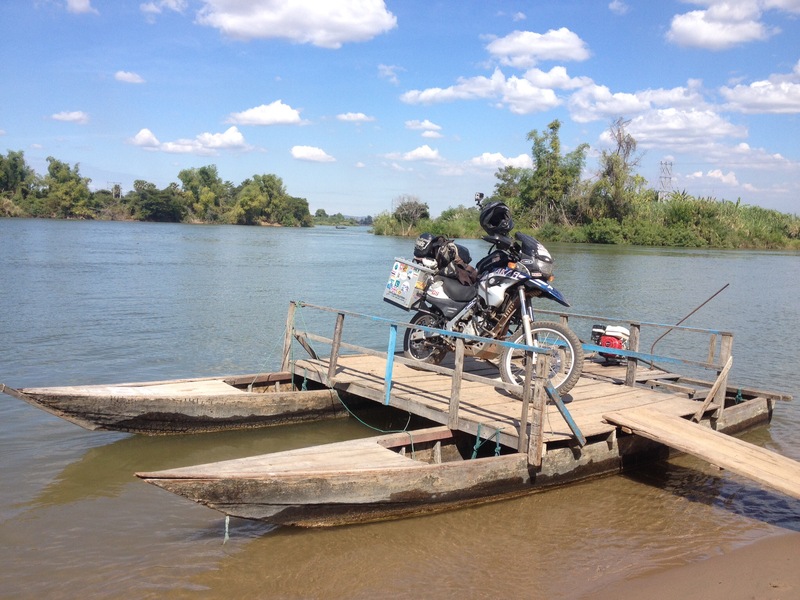 I felt safe my Dakar wouldn’t end up at the bottom of the Mekong. By 1.30 I was riding around the very small island (1 km x 2km) and found a wooden bungalow on the west side to make camp. 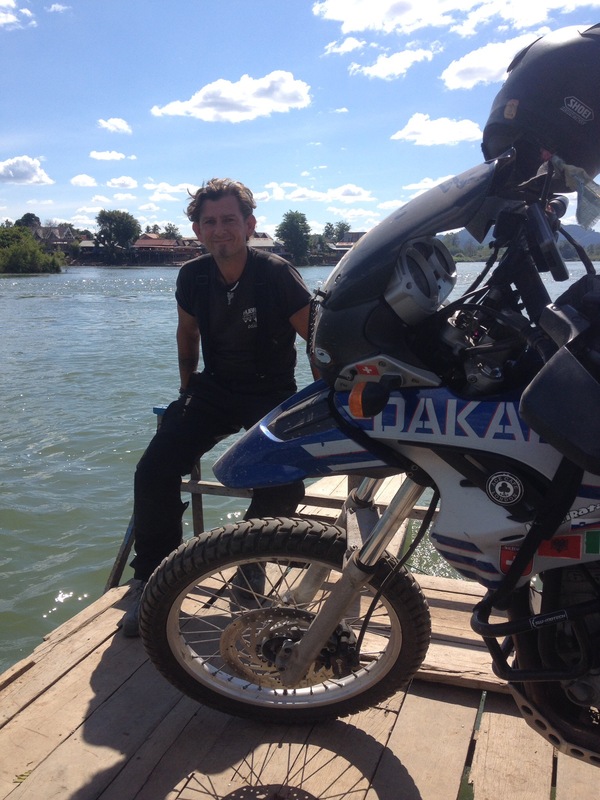 That’s me and my Dakar sorted, on an island in the middle of the Mekong on the border of Laos & Cambodia with blue skies and peace.